Social Media and your Business – how can you use Twitter, Facebook and Linked in to get the word out and connect. DCarsonCPA.com has evolved significant expertise in ways to use social media to gain better insight to your Industry, Business, and much more. We are a Strategic Solution that considers your Global Business needs. We work SMART and efficient in our business model like you do. We are a practice whose time has come in light of the current Economy and with the many years of relevant Financial Services and General Business experience you need. If you are looking for a Social Media insight from a Financial Angle on how to better connect with your current and potential Client Base, it’s an area of Business that we have developed unique skills in and we would be happy to engage you on related consulting needs to consider the creative ways you can use a digital presence to promote your Business, your skills, your Product, your Expertise. In this day and age your skills in Marketing count too and we can bring you up to speed quickly on the tools that lead communication between Businesses and Clients in Today’s online Marketplace. Express line contact us at info@dcarsoncpa.com we are here to support your needs with corresponding expertise. DCarsonCPA.com here for you on Traditional and Strategic CPA Services. This area falls under Strategic Advisory, a better way to build communications that support key business relationships, learning, better Sales and Brand Identity – we are here to support you for related training. Quickbooks set up, maintenance, updates and ongoing support. Get the most out of the tools you use for Business. We have the experience you need on Quickbooks to tailor and Account for your Business, your Balance Sheet (Statement of Financial Position), your Profit and Loss (Income Statement), Cash Flows, Budgets / Forecasts, Projections, Payroll, Payroll Analysis, Tax Analysis, Financial Analysis and more. Export to Excel, drop your data into an Access Data base for Analysis using SQL, we can program Excel and Access to meet your Business needs for specialized analysis and teach you how to better use Quickbooks, Excel and Access for broad ranging business analysis. We help you shore up your General Ledger, Trial Balance, Journal Entries, Balance Sheet Management, Profit and Loss Management, Tax Reserves, Manage Accounts Receivable, Client Contracts, Accounts Payable, Vendor Contracts, better Data Analysis through better information. DCarsonCPA.com is an efficient power house resource for Accounting knowledge and we are available to train your staff and engineer your Operations and Financials for maximum efficiency and timely management results in Financial Operations with transparent Business Reporting and Strong Financial Controls on your Assets – Cash, Accounts Receivable (A/R), Investments, Fixed Assets, Property Plant and Equipment, Intangible Assets, Liabilities, Payables (A/P), Deferred Revenue, Revenue Recognition, Work in Progress, Construction billing on work in progress, Inventories, Cash Management, Bank Reporting, Letters of Credit, Accrued Revenue, Accrued Expenses, Commitments, Obligations, Bank Loans, Amortization and Depreciation Schedules, Debt and Equity Financing, Stockholders Equity, Sole Proprietorship, Partnership, Contingencies, Loans and much more. Protect your Investment in Business or your Personal Financials with Accounting, Tax, Compliance and Financial Reporting expertise – DCarsonCPA.com is here to assist. Better Connection to New York State and City Regulations, Accounting, Reporting, Analysis, Taxation and more. Part of the DCarsonCPA.com value proposition for Client Services is better connection to relevant Governmental, Industry, Business, Individual and Non For Profit resources. We work smart with research that begins with knowledge of Government connections to Business through Regulations and then connect that expertise to your Business. This can result in a number of benefits including better connection with Tax incentives, Eligible Deductions and Credits on Taxes and more. It also includes better connection to the wide ranging needs of Small sized and Entrepreneurial Businesses in the New York area so we can better support your Business on Strategy. In Manhattan, Queens, Brooklyn, Westchester, Nassau, Long Beach and more we are here to support you and are thinking about the many ways we can directly support your Industry and Business with knowledge on Services. Our core expertise comes from Accounting and the Financial Services in Trading and Investment Management, along with wide ranging General Business and other experience including Non For Profits, Governmentals, our expertise is a convenient blend of CPA, CMA and CFA track expertise that considers your Business and Individuals needs from the key angles of Accounting, Taxation, Management Accounting, Financial Reporting, Corporate Finance and Capital Structure and much more. We also have newly evolved skills to leverage knowledge of Federal, State and Local Regulations to benefit your businesses across Industries and Business lines. In the Financial Services Industry timely information is everything – Trades are made and lost based on Research and Business knowledge. Your Business in any line benefits well from the support of a CPA Practice that is both Traditional and Strategic. We use Our Broad skills from the Investment Industry to better connect on key information that leads your industry and can bring you value on business, along with our expertise in efficiency and well defined Management and Financial Reporting, Financial Analysis, Taxes Operations and much more. You work hard to build your Business, and we work SMART to protect your Investment in your Business with value added Accounting, Reporting, Tax work, Compliance, Analysis and more. Our Experience with hands on Business Accounting for Entities ranging from Boutique Investment Banks to Fortune 500 Business – Brings you a Broad skill set for both the business you own today and the Business you want it to be tomorrow. We can help you grow by supporting you with the insight you need to more clearly lead your business through financials and also cover the many needs you have for periodic Accounting, Management Analysis, Cash Flows and Controls, Taxes, Registrations and Licenses support, Accounting Systems and much more. Our Business is aboout supporting Business Leaders and Individuals like yourself, Businesses and Non For Profits and the efficient utilization of resources and effective strategic alliances and business partners to support client needs, We help you in the expected ways with professional Accounting, Taxes, Reporting, Advisory, Audits and more. We also help you with Business planning, networking, negotiating, investigating, litigation support services of Accounting, Busines Planning, Budgeting / Forecasting, Registrations and Licensing support, Capital raising needs and much more. Learn more at www.dcarsoncpa.com or express connect with us at info@dcarsoncpa.com where it’s about your Business, your Finances, your needs as a Client, Valuing and Listening to you, and helping you meet opportunities and challenges in your business with a key solutions set resource to help you out on Traditional and Strategic CPA Services. We were having some difficulty with the WordPress Photo Function on the Admin profile – so we have posted profile photo here for better Client awareness. Reaching out to NY Restaurants, we are here to assist. 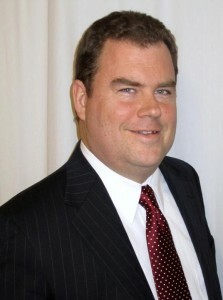 DCarsonCPA.com is reaching out to NY Restaurants, we are here to assist you on Accounting, Taxes, Compliance and more. We can help you add value and see profits through the better management of Expenses – Accounting, Financial Reporting, Taxes and Compliance to save costs where you can by meeting Eligible Tax Credits and Deductions and reducing fines through better planning and awareness. It’s not always about re-creating the wheel, it’s about working smart with Industry and Business awareness and Research. In an Effort to make your Financial Life more manageable we seek avenues to bring you better information and awareness on Financials and on overall matters that can help you on Business. We seek to be your active Business Resource supporting you on your pathway to financial success. We will also help you look for ways to save costs and protect your profits so you can build sustainable operations. In the process of looking for ways to better help you on business we found the NYC Restaurant Owner Manual (Published by NYC in 2006 - Be Advised that Minimum Wage Information in this document is not current – find current minimum wage information at US DOL http://www.dol.gov/whd/minwage/america.htm ). The Manual as printed in 2006 would not include coverage of NYCs comparatively new letter grading, you can find more on that here at http://www.nyc.gov/html/doh/html/rii/index.shtml where NYC Covers it’s Letter Grading program at the Department of Health and hygiene. If you will be requiring a NYS Liquor License – you will need to file for it….you can find more information on that at…http://www.abc.state.ny.us/ . Our Value add to you is as Entrepreneurial Business Advisers and skilled Accountants – you have the opportunity to gain efficiency in operations from Our skills in capturing and measuring Financial Data – we will provide you with better tools to do so for both Accounting and Taxation purposes and also seek to get you going on a compliance calendar to watch upcoming time lines for Compliance. We want you to succeed in your Business and work as strategic partners to help you better reach your Financial Goals through Business insight and greater awareness of Compliance and other elements that benefit your Business. If you are looking to start your venture or are already in Business and are seeking a more interactive business service alliance – we can help. Call on www.dcarsoncpa.com your CPA Services and Advisory practice with an Active role in making Clients Financial, Accounting, Tax and Compliance needs flow better – we look forward to speaking with you. We are coming from a background with Chefs in our Family and Friends network and hands on Restaurants and Food Service Experience - so it’s not just about Financial Knowledge it’s about connection to your Industry and Business. We bring you Financial Expertise with the same Client Service expertise you use to support your Clientele – we value customer service and are here for you. Bonus: For FLSA NY Poster for your work location visit http://www.minimum-wage.us/states/New_York for an adobe downloadable FLSA poster on minimum wage. Amongst many other compliance needs Employers are required to Post Minimum Wage notifications for their Employees in readily observable locations – near time clocks or on Employee Notification Boards – refer to specific laws for exact standards or call NYS DOL. § 1.501(c)(3)-1 Organizations organized and operated for religious, charitable, scientific, testing for public safety, literary, or educational purposes, or for the prevention of cruelty to children or animals. and other key areas like the Arts, Sports, Trade Associations, Medical and the many other entities falling under the range of § 1.501 (c) of the IRC under Title 26. We are here to support your needs for Accounting, Tax Informational Reporting under IRS FORM 990, Financial and Operational Analysis and more to help you more efficiently perform your roles at a reasonable cost. We can assist Non-For Profits on evaluating and substantiating “Reasonable” Executive Compensation – will your organization meet the test?. Contact us at www.dcarsoncpa.com for a consultation. We can also assist on wide ranging Non-For Profits needs for Accounting, Grants Compliance, Financial Analysis, Accounting Systems and more. Additionally there is the rapidly approaching Annual Deadline for IRS Form 990 for Non-For Profits to consider in NY and beyond on 9/30/11 and we are here to assist and can likely save your NFP Money on your needs for IRS Form 990 and have a corresponding interest in supporting young talent in Queens and Brooklyn interested in the Accounting profession. If you bring us onboard for your IRS Form 990 and we can reach a sustainable volume of interest on Form 990 work (which we must do from an Economic perspective to support interns), we will bring Talent in to help (through Internship) and gain an opportunity to help the NFP Community through greater development of supporting professionals. It’s a way we can combine Outreach and Accounting Services. This being our first effort it will be of limited scope – but none the less beneficial in sharing experience. We know Business, but we also know Not-For Profit – Our Principle Dean T. Carson II, CPA comes from a Family with one side engaged in Public Service through Medicine, and another side of the Family with an Athletic NFP and a Family History of Government and Community Service. We have broad experience to bring to the table and Financial Services Expertise that can help on NFP analysis with the experience of supporting a key Non-For Profit and the ready ability through research to cover your specific needs. We are specifically reaching out to the NYNED and the NY Council of Non for Profits, Inc. , Foundation Center and more to let you know we are here for your membership – with just 53 days to go – its important that we get in touch and plan for your IRS Form 990 and other needs. Call on www.dcarsoncpa.com here for you on services we Focus on Accounting and Compliance so your can focus on your NFP Mission and Objective for Societal Benefit. Unfortunately Last Fall the New York NonProfit Coordinating Committee did not take us up on our (telephone) offer to support members via a broad announcement since we had not qualified as key sponsors (we are after all relative newcomers – but that is exactly the point – a savings opportunity where you need it on services), of course we believe that this choice was actually disadvantageous to Non-Profit members since we are and were in effect offering savings on related work for IRS Form 990 through negotiable rates. As an added benefit this year we are hoping to achieve a volume of demand that will support our intention to use Inner City Talent from Queens and Brooklyn to support our objectives through Internship. This depends on your interest in using us for services on Form 990 we will be training Accounting Professionals from NYC to support your needs – its a chance to help Accounting Students who are looking for experience through internships in tough markets and also support your NFP with cost efficiency. We highly recommend that NFPs with need for IRS Form 990 contact us at www.dcarsoncpa.com and we are sure that you will come to appreciate that Our Business model is more than just about how we can operate – its about how we can add value to Our Community and your support of Our NFP facing Business has an intended reciprocal beneficial Outreach impact in Our Local Community and beyond as we grow to become a Practice with values that include but are not limited to Financial success. As we grow with you we seek to grow in community support as a sector resource. You may have noticed that we have just updated Our NYCTAXCPA4u and CT_TAXCPA4u lines on twitter. At some consideration we have decided that it would be better to identify these lines more closely with Our Brand for awareness of Broad Services – the name is all that is changing and Our content will still be focused on those channels on State and Local directed Taxes, Regulations and issues that count for residents. Find us now at DCarsonCPA_NYC and DCarsonCPA_CT on twitter for State and Local updates that matter (along with National Updates). We hope you’ll agree that the change makes sense and we are hoping to find you there with us in the days ahead. As always we are here for you on Business, Individual, NFP and other Services at www.dcarsoncpa.com where it’s about your Business, and your Finances and the ways we can help on Accounting, Taxes, Advisory, Audits, Compilations, Business Analysis, Public Finance and more with research and insight and most important of all proven Business Experience in Accounting, Taxation,Compliance, Advisory Services, Audits, Analysis and Financial Reporting. We haven’t had as much of a chance as we hoped to yet to collect all your Feedback and clear it for posting, but we wanted to take the opportunity to State that we really appreciated your Positive Encouragement and will be posting more soon. When we do we will likely link it through twitter… you can find us on twitter at DCarsonCPA, NYCTAXCPA4u and CT_TAXCPA4u where we are with an active eye on the US Economy, Jobs, Accounting, Finance, Industry, Taxes, Regulation and much more. We are here to make a difference that includes caring about your Business, your Finances and the Economy, the Nation and more. We are encouraging the cooperation of Financial Professionals to perform similar analysis to share insight on Financials and we encourage you to participate constructively in the Legislative process to promote Public Finance Reform in the better interest of the Nations Future. We believe that we need better tools in Legislation, tools similar to Business Metrics, but weighted to calculate the additional necessary dimension of Societal Benefit. Govt Expenditures = Tax Inflows – Interest on Debt and X Factor Debt Reduction where we all solve for X. Solving for X is the social contract we work on in a bipartisan manner in the better interest of the US Economic Future and by default the overall world economy as a secondary beneficiary. Part of the Path Ahead is about Balancing Trade for Reciprocal Returns to the US Economy, this needs to be a priority. We care about the Future and Part of the Future is about the need to fully support US Agriculture at the Family Farm level and the larger level, its about US Manufacturing – we need to build, and Services redistricting On Shore – we have the Local Talent to cover many needs it’s a myth to say that we don’t and a cop out to the Challenge of Education. Lastly and Importantly we share that we are in Fact Pro International Trade while we are also Pro US Economy. We believe that the US must Act in its own best interest on Trade and the National Economy, but that doesn’t mean that we are not in support of Trade. We support Balanced Trade that in the Aggregate promotes the flow of Goods and Services in both directions when weighed across the full spectrum of partnerships and agreements. As stakeholders we need to promote a Future that makes sense for Our Children and Our Financial Future as you do, but we always remember that we are deeply connected to an International Community – so if the conversation goes to the Economy and Trade the purpose is not to Isolate anyone, its just an acknowledgement that there is a need for the US Economy to heal. We believe that as the Domestic Economy heals, that the International Economy will also heal. No Doubt that there are many great places for us all to work together in the future, but in fairness we must be focused on the needs we have Onshore before we can fully engage on external needs. We appreciate your time, that you have taken the time to read here and we hope we can be a support to your future needs at some point. Our very best regards and Thanks. DCarsonCPA.com the Accounting Practice that Focuses on Broad Ranging Issues meeting you at the many intersections of Business and Individual Accounting and Finance where Regulations Guide Accounting and Reporting and where innovative thinking must be the path ahead to solve problems and move forward to fix future needs and solve current challenges in the Economy. Queens, NY is the most diverse area in these United States, no need for Offshoring to find International Expertise, if you are serious about getting Internationalized support with ability to cover just about any region in the world with any Language, you really need to check in with Queens, NY first – its a good thing – its real strength in Human Capital Assets ready to go to work. From inferential insight one of the most active areas of Queens is in Jackson Heights and Elmhurst where the Latino Community is in full action mode, action mode that provides a welcome buzz of business activity in sharp contrast to the Economy at Large and the downturn. But this is a different way of Business at work, built on relationships and trust and knowing people who can provide different services. Its an under utilized area of InterAmercias Trade possibilities. There’s also a strong Asian Community, Indian Communities, Carribean Communities and much more that we can mention as time moves forward. Queens has industrial space and vast ranges of diverse populace ready to go to work, one thinks of the opportunities to staff call centers, virtual stores support, tech development and more right here in Queens, New York and quickly questions the need for offshoring, theres something wrong with that picture. From Mandarin to Spanish and far too many languages to mention in between the skills are here in Queens and people are looking for Good Opportunities. This is just a casual inferential overview based on observation and of course there is more to consider but we believe in the Queens Economy, the Queens Chamber of Commerce and the potential for Opportunities and efficient resources that exist right to the east of Manhattan Island in NYC. We are following up with the NYS OCS for a more current Queens NY Economic Snapshot granted the changes in the Economy at Large and hope that as we are doing so a corresponding study is already underway that we can share with you soon. We are here for Queens NY Businesses of all sizes in need of support for CPA Services, for Accounting, Taxes, Advisory, Analysis, Research, Budgeting/ Forecasting / Planning, Expense Management, Efficiency Analysis, Controls, Quickbooks, support on Entity formation or Licensing if we can help there and in many other places, and are generally available to assist Entrepreneurs and Established Businesses. We speak Spanish too, so if that has application to your Business needs Estamos aqui para servicios en Ingles y Castellaño. Your Business needs in Spanish and English. Estamos aquí apoyar sus necesidades del negocio de la contabilidad, de la consultar, de intervenciones y de impuestos. For specific Queens resources the Queens Economic Development Corporation and Queens Chamber of Commerce are good resources, I also enjoy a blog called Lost in the Ozone by David M. Quintana thats connected to alot of broad ranging news, community, historical and factual information on Queens, NY. You can tell that Quintana works diligently on his blog and his blog is further connected to a network of blogs that are also full of information about various aspects of Queens, NY, NYC and more. Helen M. Marshall is the Current Queens Borough President and her website Official Queens Economic Development is a strong resource on Queens too. Lastly if you are looking for a Good cause to donate to the Queens NY Library system is a critical community resource that supports a community that greatly benefits from this fine Library System, but its under Economic pressure from heavy budget cuts and could use your help. If you are inclined to make a big difference in NYC or in Queens specifically the Queens Public Library is a great cause. Find them at http://www.queenslibrary.org/ if you can make a donation it’s a worthy cause that helps many. We like Brooklyn, New York. Brooklyn is culturally alive and full of Innovative Shops, Entertainment, Talent, Music, Restaurants, Boutiques, Real Estate and New Businesses that make it Fresh New and exciting, but there are also challenges that are enhanced by the Economic Conditions so we are hoping as members of the Brooklyn Chamber of Commerce to support awareness of Brooklyn Based Business and to find the most recent updates on the state of the Brooklyn Economy. Who better to turn to than the New York State Comptroller Office of Comptroller DiNapoli. Things change quickly especially in this Economy so we are following up with NYS OCS in the hopes that the 2011 version of this report is underway. We support Brooklyn New York Businesses. Here for you on Services and as members of the Brooklyn Chamber of Commerce call on www.dcarsoncpa.com for CPA Services and Business Consulting (Accounting, Taxes, Write Ups, Analysis, Financials, Quickbooks, New Accounting Systems, General Ledgers, support on understanding Regulations and Licensing needs or Business Formations, if we can assist we are here to do so.) Follow us on NYCTAXCPA4u on twitter where we provide updates on NYS and NYC Tax Law, IRS Taxes and many areas where your Business meets Information Interests on Accounting, Finances. the Economy, your Industry Groups, Interests and more. Also on FB at DCarsonCPA . We are with you on Services, we look for the best ways to support Businesses and Individuals on Accounting, Taxes, Information and more. Thinking of your wide ranging needs and interests on Business so we can be there to help. It’s about your Business, your Finances, the NYC, NYS and US Economy our shared NYC, NYS and National Financial Future and how we can get together to assist Economic improvement. We care about your Business and Personal Finances and we go the extra step to support you New York City !. For Businesses of all sizes we are here to assist and for Individuals with corresponding needs. 15 years of Business Experience can go a long way on supporting your needs for CPA Services and Consulting to strengthen your Business ventures. We use our expertise in Accounting, Reporting, Operations and Taxes to help you efficiently manage the challenges we all face in the current economy. As Advisors we help you Strategically Plan to meet your desired future state with Expense Management, Forecasting, Accounting, Operations, Reporting, Analysis and Planning, we want you to succeed and bring you cost efficient tools to better see the road ahead.